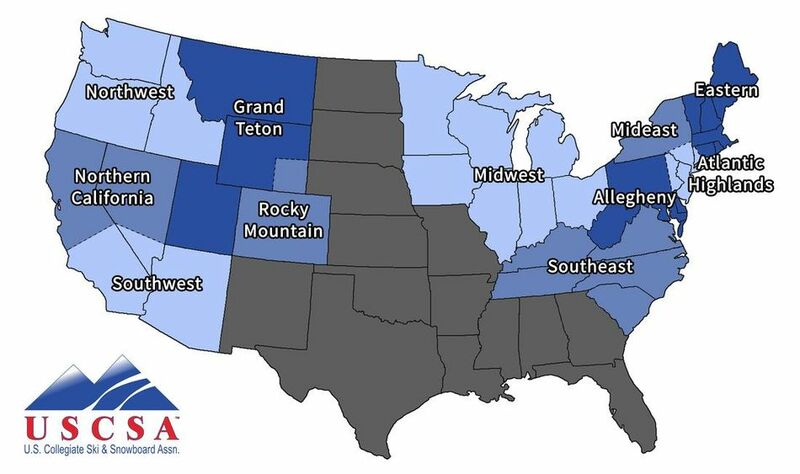 The USCSA is divided into 11 conferences with competition across the country at various host mountains. The Conferences range in size and variety of competitive disciplines (Alpine, Snowboard/Freeski & Nordic). Some conferences (Eastern & Midwest) are large enough to have additional coordinators for each discipline. ​The USCSA is also split up into 6 Regions, which is done for post-season competition and qualification. 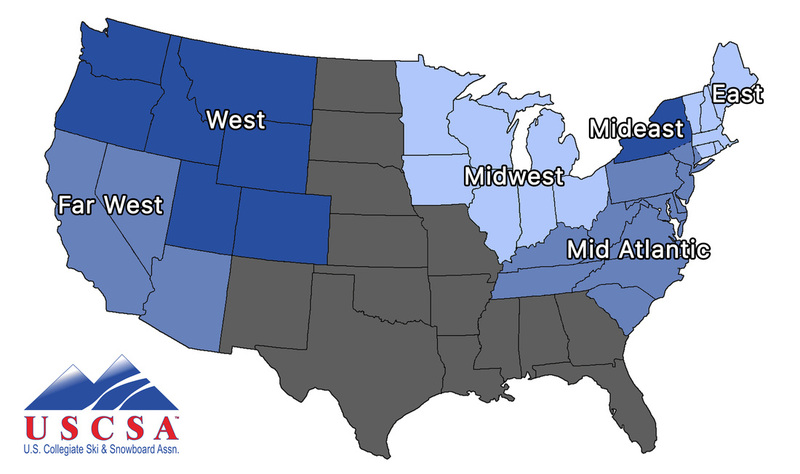 Some Regions are also Conferences: East, Mideast, Midwest while other Regions are made up of multiple Conferences: West, Far West and Mid Atlantic.